Where has this been my whole life? 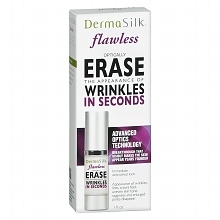 I wouldn't say it is a wrinkle eraser, but it is the best makeup primer I've used so far... I even love it with no makeup!